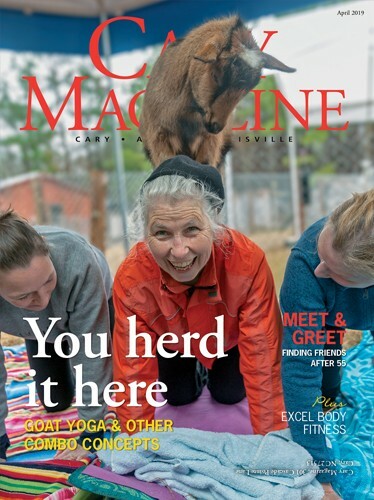 “For years there’s been one model of what it is to preach, and because of size and voice, women just didn’t fit into that,” says Carla Gregg-Kearns, senior pastor at Good Shepherd United Church of Christ in Cary. Classy Preston has been senior pastor at Pleasant Grove Church in Cary for nearly 18 years. “I have no desire to be a mediocre pastor. I want to serve God with excellence, and that’s my heart’s desire. This is the best season of my life,” she says. “As women, we sometimes do not realize that God uses us in the same magnitude as God uses men,” Classy Preston says. Rev. 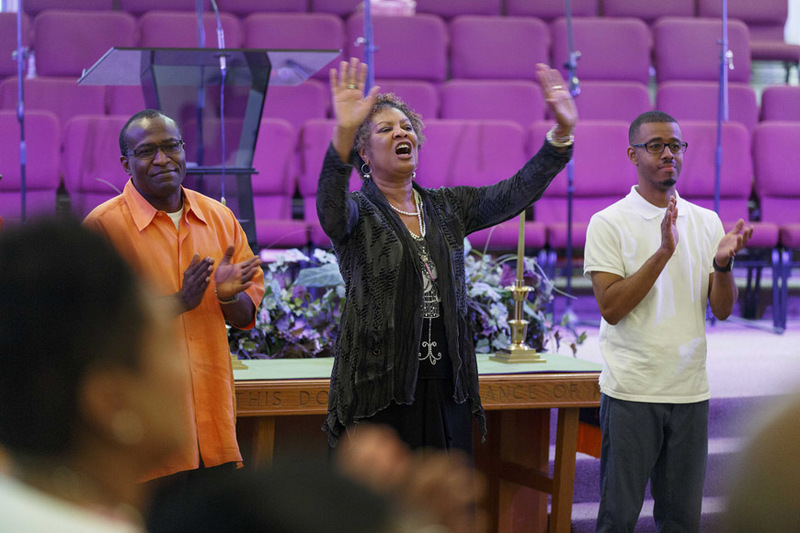 Carla Gregg-Kearns is one of the founders of the annual N.C. Women’s Preaching Festival, set for Oct. 13-14 in Durham. The festival began as a way to thank women who have worked in ministry for decades, she says. Growing up as a Southern Baptist in tiny Camden, S.C., Lauren Efird always knew she wanted to be a preacher. “I used to sit and teach my baby dolls, but one day my mom heard me preaching to my baby dolls. I had them all in a circle, and I was preaching to them,” said Efird, senior pastor at Greenwood Forest Baptist Church in Cary. Efird, who has been interim pastor since January, was named senior pastor Aug. 21. She is the first female to lead Greenwood Forest. Although more women than ever are pursuing religious education and entering ministry, there are still few in senior leadership positions. Only 11 percent of churches nationwide were led by women in 2012, according to a National Congregations Study published in 2015. This figure is unchanged from 1998. 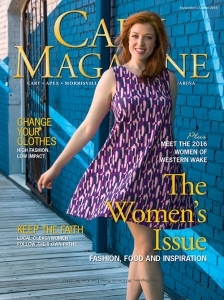 For women who lead churches in Cary, several have been the first female to hold that job, and have had challenges along the way. But each agrees with Efird: Being a minister is more than a career choice, it’s who they are. Despite her early leanings, Efird’s path to the pulpit meandered a bit. 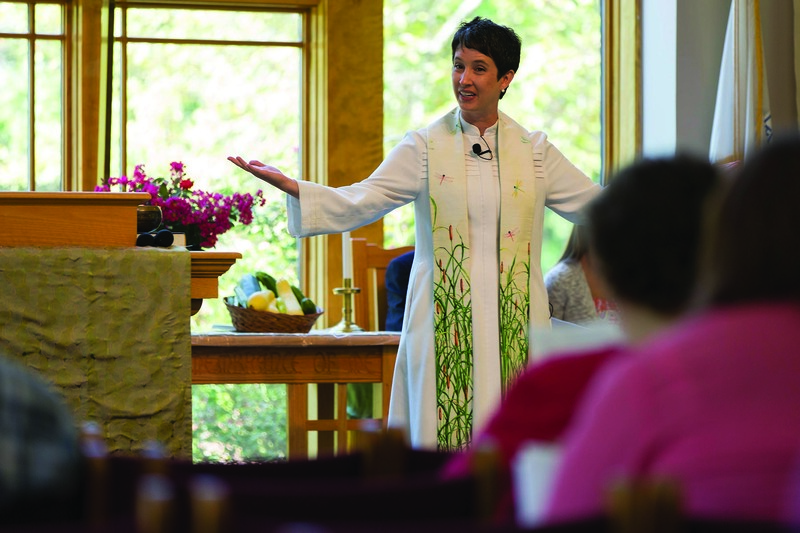 At Duke Divinity School, she focused on chaplaincy, even doing a residency at UNC Hospitals. But as she sat with people on their deathbeds, she realized she wanted to be present in people’s lives for the whole journey, not just the end. She wanted to be a pastor. But as a Baptist woman, she knew it was going to be difficult to find a church that would accept her as a minister. One memorable rejection sums up the challenges she faced. Soon after that incident she was hired at Greenwood Forest, where she has been for five years. 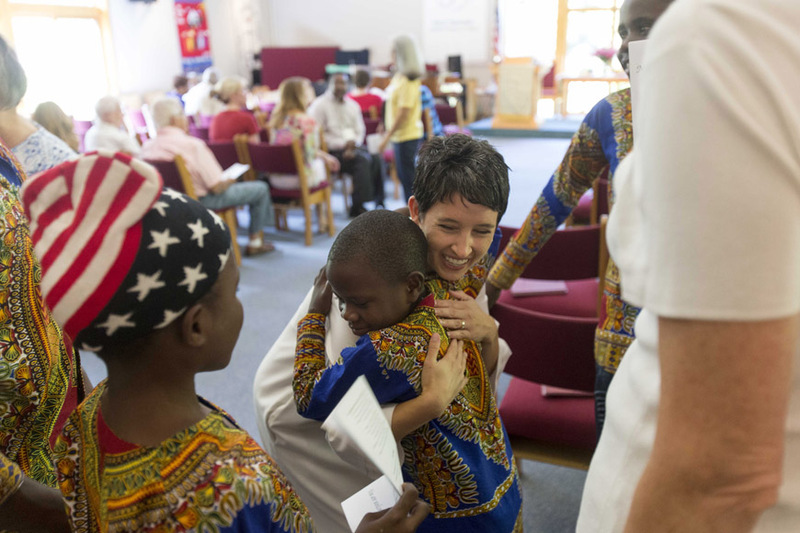 The congregation, which has about 350 active members, has embraced her. She gives much of the credit to the former senior pastor, Benjamin Boswell, who now leads Myers Park Baptist Church in Charlotte. “I’ve been able to live out worship leadership here in a way that many women my age and my experience level wouldn’t get to do,” Efird said. Carla Gregg-Kearns was always involved in religious life, first at her childhood Presbyterian church, then at Salem College in Winston-Salem. But ministry wasn’t even on her radar until her campus minister suggested it. In July 2013, Gregg-Kearns became the first woman to lead Good Shepherd United Church of Christ, when she was named senior pastor. She calls the 150-member church a wonderful congregation that is open to change, and speaks of finding her own voice as a leader. She leads worship not from a stage, but from a raised dais, about six inches above the floor. Sometimes she preaches at the pulpit. Other times she assumes the role of a Biblical character, telling a story in the middle of the congregation. Gregg-Kearns says her leadership also looks different, because she doesn’t “come in and run anything.” She organizes meetings, gathers ideas and encourages people to participate. Classy Preston, who became the first female senior pastor at Pleasant Grove Church nearly 18 years ago, did not grow up around women in church leadership. 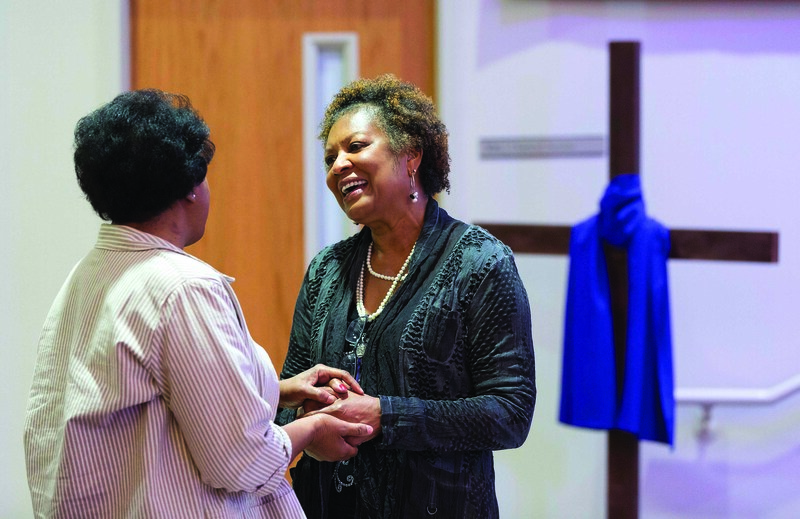 For Preston that means leading a historically African-American, currently multi-ethnic congregation in Cary, growing the church from 12 members in 1997 to its current 250-plus. Preston works hard to make the church a welcoming place for those of various cultures. She invites Asian and Hispanic ministers to preach; the praise band is a mix of African-American, Caucasian and Latino musicians. Jeanette Stokes, executive director at the Resource Center for Women and Ministry in the South in Durham, and a Presbyterian minister, agrees that pastors are valuable role models. 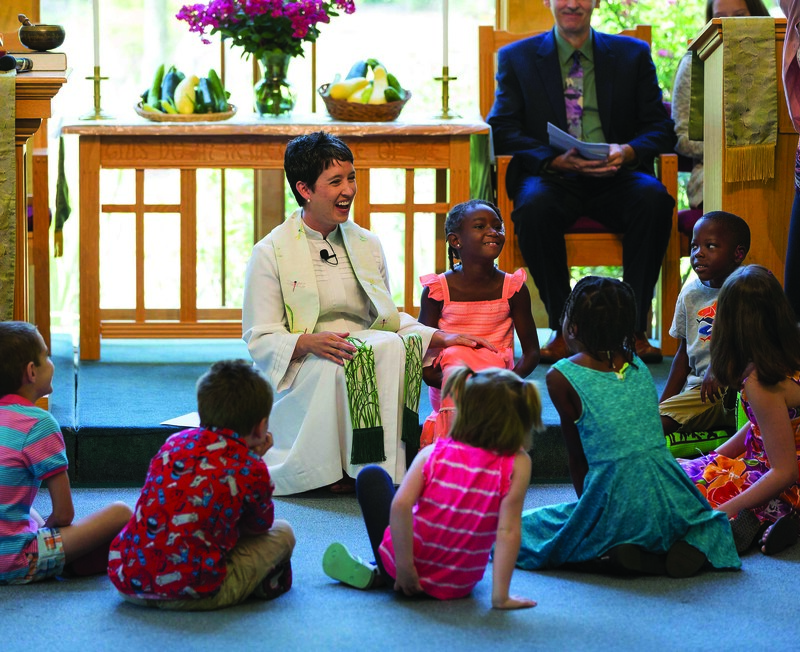 “For young people, both boys and girls, it’s important to see women leading in the church and synagogues, because otherwise children get the idea that only men can do that,” she said. The pastors are encouraged by the increasing number of clergywomen, but say there is still progress to be made. 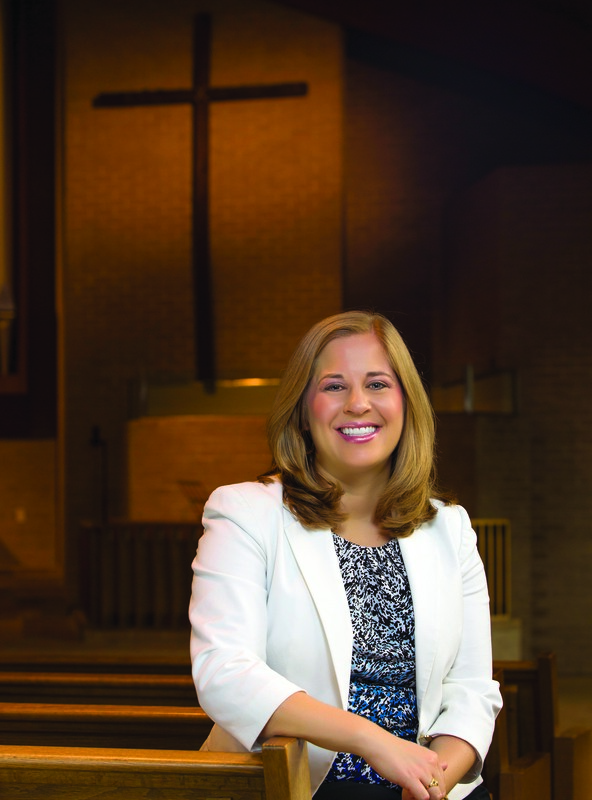 Donna Banks, lead pastor at St. Francis United Methodist Church in Cary, cites a survey from a class she recently taught at Duke Divinity School. Of the 25 largest United Methodist congregations nationwide from 2011 to 2016, none were led by women. 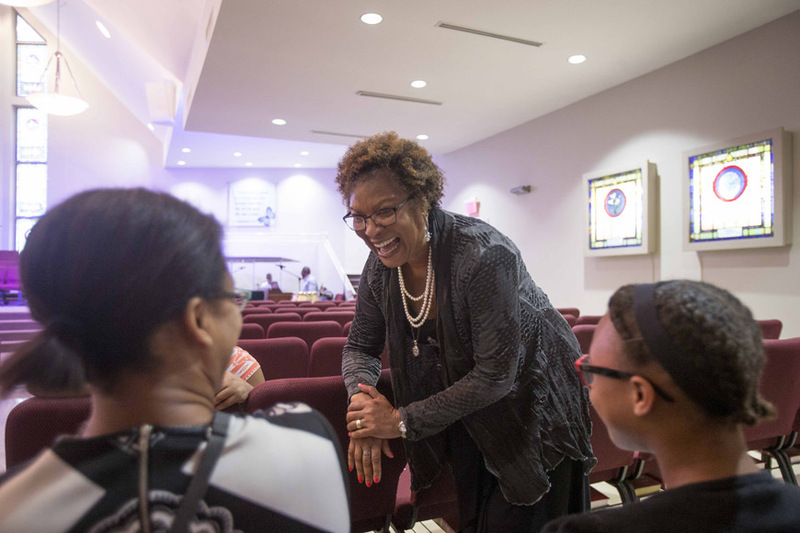 “There’s still that bit of glass ceiling around larger congregations, feeling like they still need a man,” said Banks, whose church has about 1,400 members.